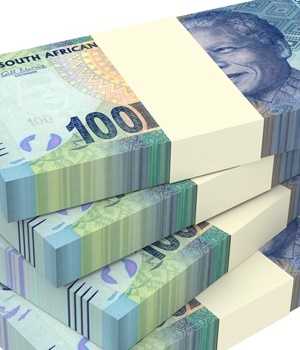 The rand was almost 2% stronger by late afternoon trade - up 1.96% to trade at R13.28/$ by 17:45. According to TreasuryONE, all emerging markets were on the front foot after the US Consumer Price Index (CPI) came out slightly worse than expected on Thursday. During the morning, the rand had gained 0.55% against the dollar, showing some resilience despite ongoing international trade tensions between the US and China over tariffs. By 12:31, the local currency was trading at R13:46/$, after opening at R13.54 to the greenback. Wichard Cilliers, director and head of dealing at TreasuryONE, told Fin24 earlier on Thursday that manufacturing production growth continued to accelerate in May, rising from 1.0% y/y in April to 2.3% in May. "The print surprised to the topside with consensus looking for a contraction of 0.6%. This has helped the rand trade a little stronger," he said. On Wednesday, the rand had fallen from the R13.30/$ level to hit R13.57 overnight. While the rand tends to weaken on global uncertainty, it was showing resilience around the "sticky' level of R13.50/$, said TreasuryONE. "We saw a couple of days ago that there is still some risk-appetite out there for risky assets, when the rand rallied to R13.25/$. Should the latest trade war drama play out, we can expect the rand to start driving lower, but for the moment expect the rand to trade within ranges as we await news from abroad," he said. Mpho Tsebe, an economist at Rand Merchant Bank, said earlier in the day that global equity markets, the rand and other EM currencies were suffering losses as trade tensions between the world’s two largest economies, China and the US, escalated.